Located in Tighnabruaich, Argyll and Bute, Colachla is a former bothy accompanied by an area of agricultural land and amenity woodland extending to 8.10 Ha (20.10 acres). Situated near the picturesque coastal town of Tighnabruaich on the Cowal Peninsula, Colachla offers an excellent development opportunity to create a smallholding within a popular coastal location. 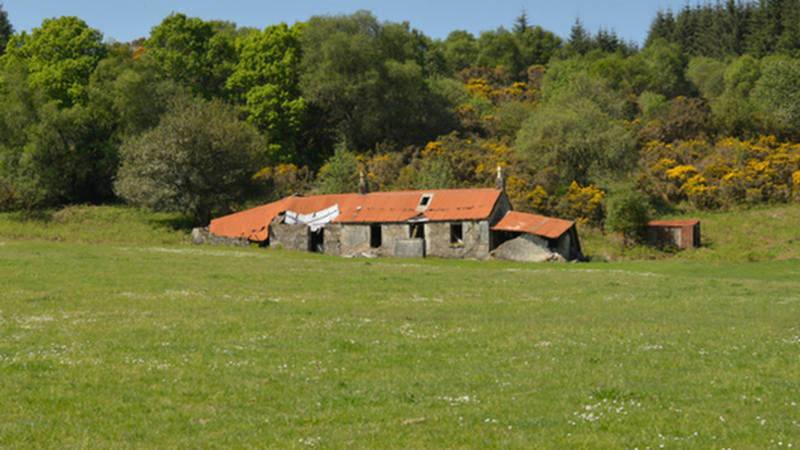 Colachla is a prime location for a smallholding or rural home. Tighnabruich is a charming village, popular with holidaymakers and sailing enthusiasts. The scenery all along the Kyles of Bute is spectacular. The farmland at Colachla is currently all down to pasture but historically has been used for fodder production in conjunction with a larger farming enterprise. The land is enclosed by mixed broadleaved woodlands providing a colourful backdrop to the property. The site is in a private and elevated position and the size of the plot is manageable – making it ideal for a purchaser with limited experience of running a smallholding. Tighnabruaich is a favoured holiday destination, with its opportunities for sailing, walking and cycling. The sailing in Tighnabruaich is particularly renowned, with proximity to the Crinan Canal and Clyde marinas. Several restaurants, bars and a spa are also found in Tighnabruaich. The Waverley paddle steamer and other Clyde steamers stop at Tighnabruaich pier several times a week. There is a car ferry connection from Portavadie to Tarbert on the Mull of Kintyre, which has made this area more accessible. 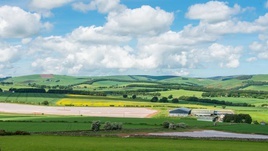 In the last 12 months more than 100 farms and blocks of farmland totalling over 15,000 acres, with a value in excess of £100 million, were marketed by Galbraith in Scotland. Colachla is currently on the market for offers over £125,000.